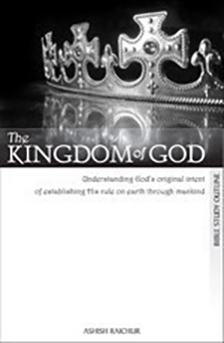 The Kingdom of God is a major theme through the Bible. Jesus began His earthly ministry proclaiming the arrival of the Kingdom of Heaven. During His final days before His ascension, He taught concerning the Kingdom of God. We must understand that this Kingdom is within us. We must recognize that we are sons and daughters of the Kingdom, sown as good seed into this world. This study will teach you how to live and operate out of a ''Kingdom of God'' perspective, where everything you do is an extension of the King's domain here on earth—His rule being released in you and through you. You will learn how to fulfill the Kingdom mandate that is on your life—to see His Kingdom come and His will be done through you, right where you are.